Belize NMS: Light easterly airflow prevailing, mainly fair weather will continue through tomorrow. 24-hour forecast: Sunny with cloudy spells today and partly cloudy tonght. Showers if any, will be isolated. General Outlook: (Sat & Sat night) Continuing mostly fair with only isolated showers developing. 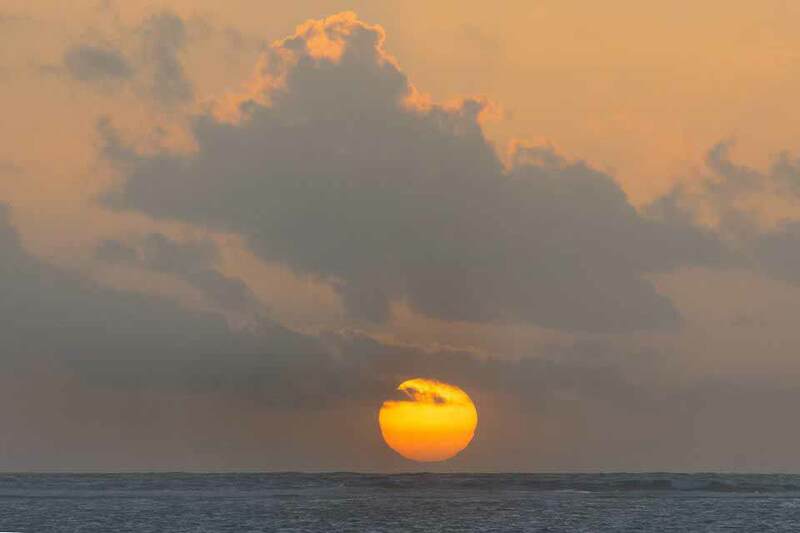 Today E 5-15 kts Choppy-Moderate 3-5 ft CHANCE OF ISOLATED SHOWERS. Tonight E-NE 5-15 kts Choppy 3-4 ft ISOLATED SHOWERS. Tomorrow NE 5-15 kts Choppy 3 ft ISOLATED SHOWERS. Outlook NE 5-15 kts Choppy 3 ft (SAT NIGHT) ISOLATED SHOWERS, CHANCE OF A THUNDERSTORM. Broken low level clouds and possible rainshowers are to the north of the line that runs from 12N60W to 15N70W to 17N80W. The clouds are related to stationary front that was in the Caribbean Sea at 03 January/1200 UTC. Broad surface high pressure in the west central Atlantic Ocean will maintain fresh to strong winds across much of the Caribbean Sea through Friday. The comparatively fastest wind speeds will be present during the nighttime hours near the coast of Colombia. A cold front will stall and weaken in the NW Caribbean Sea on Saturday. The wind speeds and the sea heights will diminish during the weekend as the high pressure weakens and shifts eastward. On Ambergris Caye this morning the wind is dying and sea calming from yesterday's blow. It's now from the East-SE at 5 mph. Today is sunny with an expected high tempature in the upper 80's. 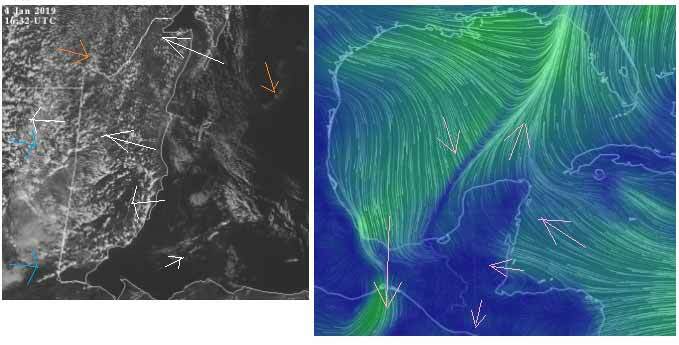 The weather in our area is changing, the high level over southern USA is being pushed further south, perhaps by a cold front bubble, there appears to be cold air moving down over Mexico. 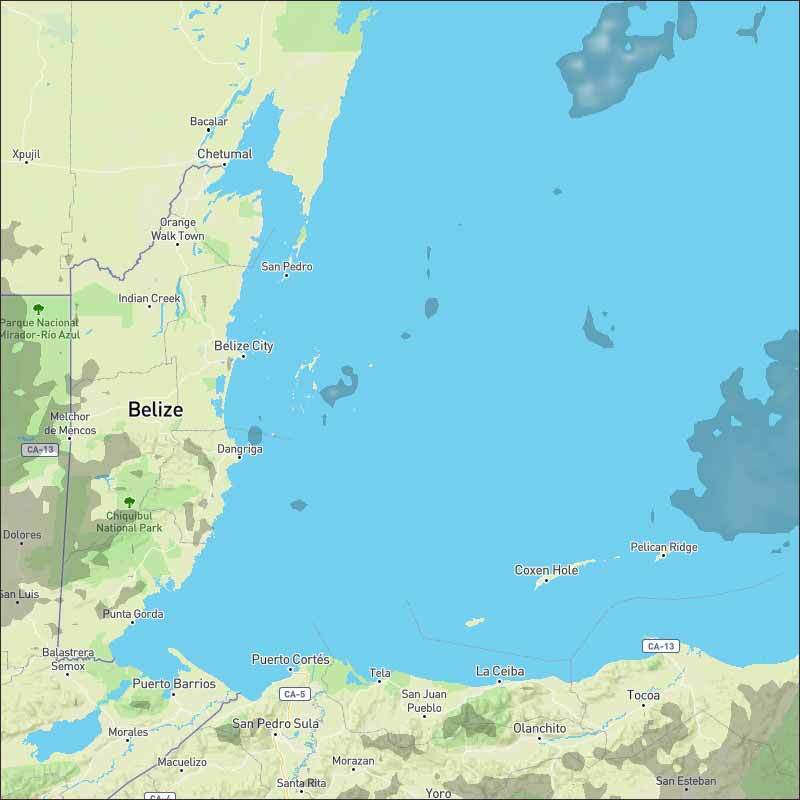 There are lines of cloud in the Caribbean coming from the SE but down in Toledo, there appears to be a rotation of air and cloud, and there is a lot of Fog in western parts, which will clear later, but cloud is already starting to build in much of Belize. Looks as if today will be mainly sunny, presently no indication or any rain, but cloud increasing. The Cloud picture. Right now all sorts of things are going on, and at the same time little is happening, it looks as if some air from the north over Mexico, is blocking the easterly Caribbean air. 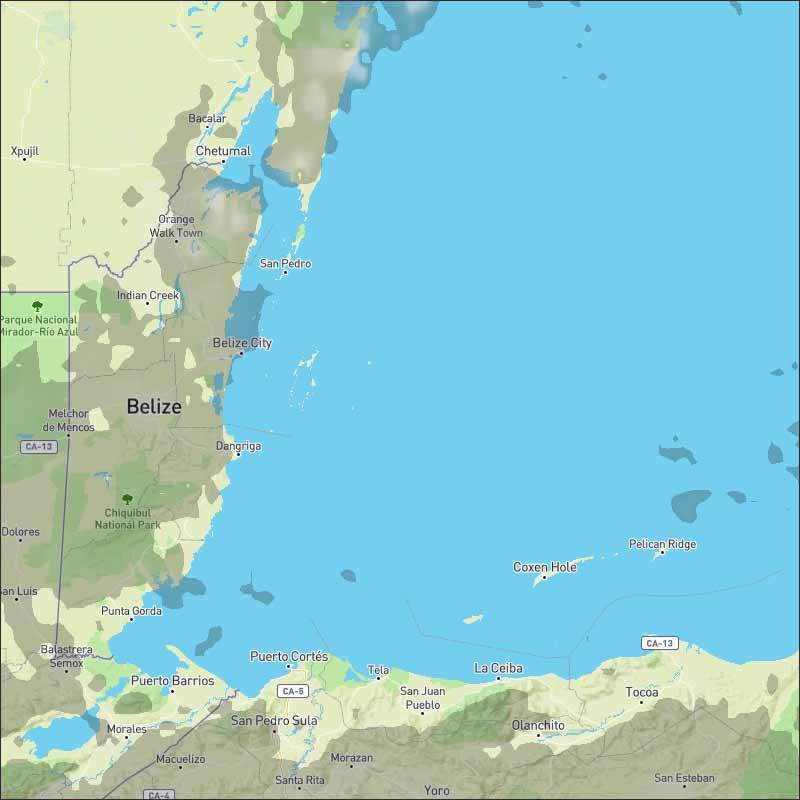 The result is a lot of cloud forming now over much of Belize. This Nullschool wind information might be, for once, giving some indication of the conflict of air movements right now. Rather complex weather presently. 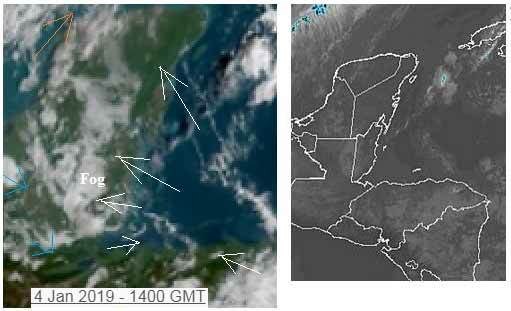 The easterly Caribbean winds with some cloud are still trying to come in, but there is a general movement of air from the north, over Mexico, which is pushing back against the Caribbean wind and has been causing some odd clouds over much of Belize this afternoon. This has been causing a little rain in Mexico and Guatamala and in Toledo. Looks as if Tomorrow Sat 05 Jan - Is going to be a complex and variable weather. Not sure how it is going to pan out, probably significant cloud in various areas in the morning, not much indication of much rain, just little bits, perhaps more rain in a day or two, when the Caribbean easterly takes over control again.